These gentlemen’s classic burgundy suspenders are a popular addition to any modern man’s accessory collection. 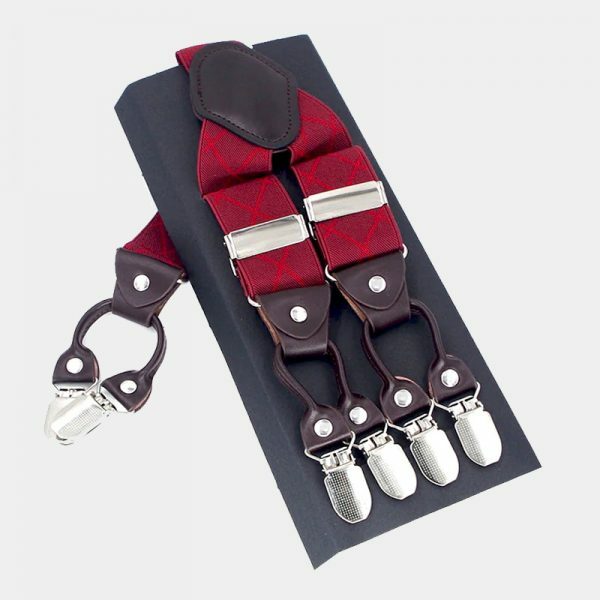 Every set is handmade from high-quality, durable, and long-lasting materials. 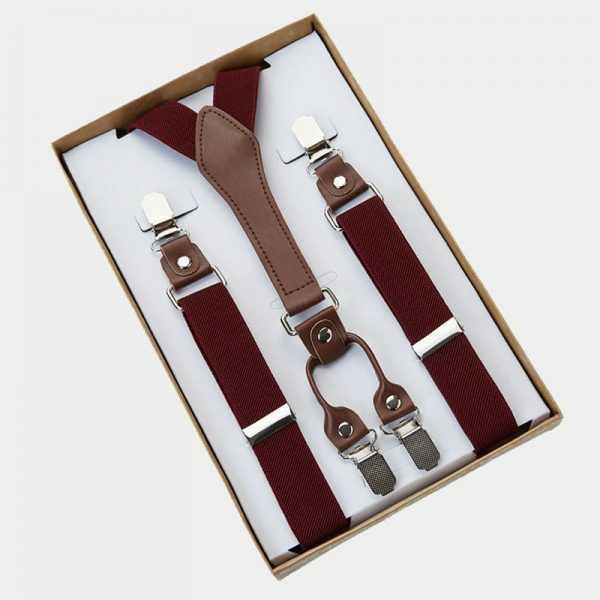 These beautiful classic burgundy suspenders are sure to add style to your business, formal or casual looks. 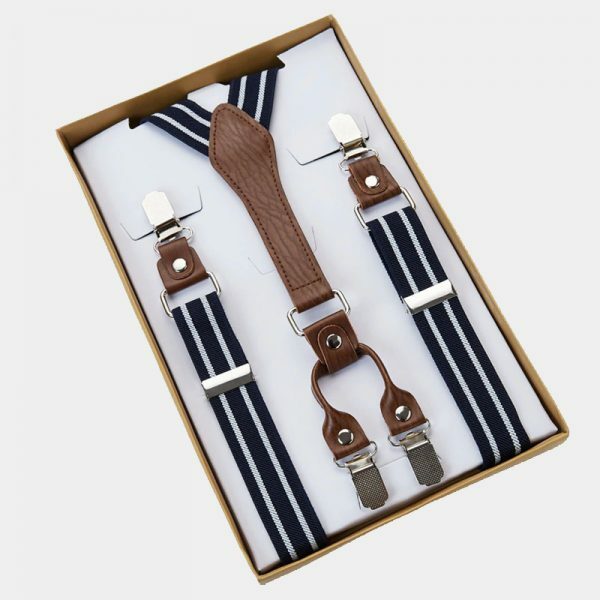 Suspenders aren’t just for your grandfather anymore. 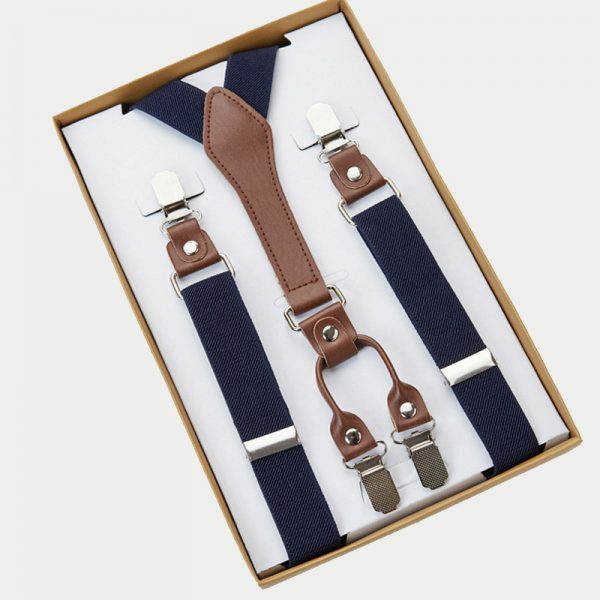 So forget your belt and try adding these suspenders on for size. 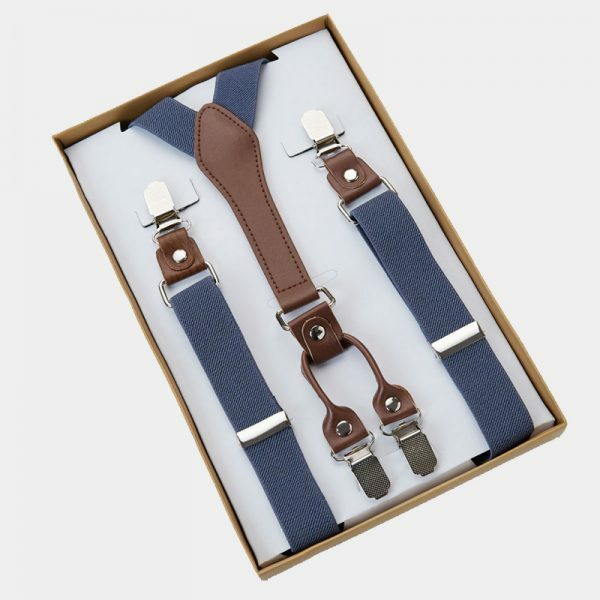 Take charge of your wardrobe and give it an unexpected pop of color and style with these classic men’s suspenders. 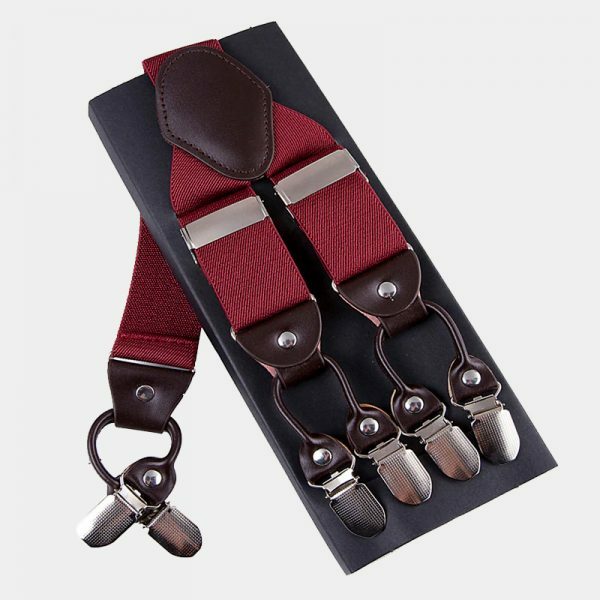 These classic burgundy suspenders have strong and durable leather bindings. 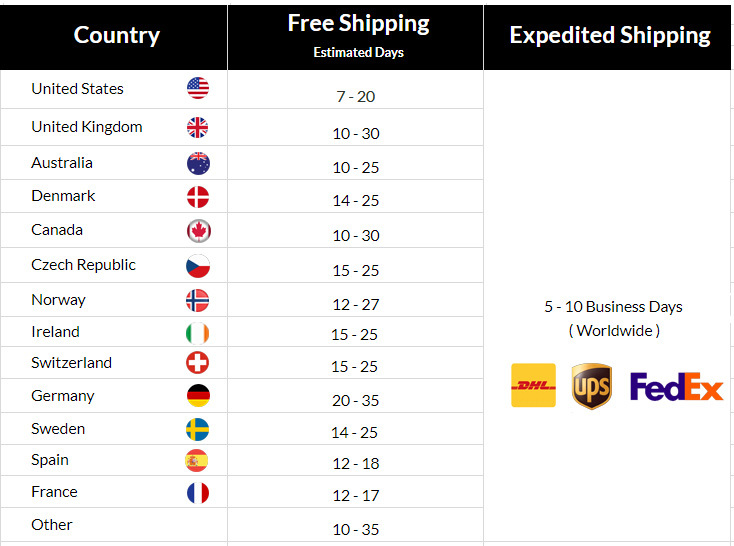 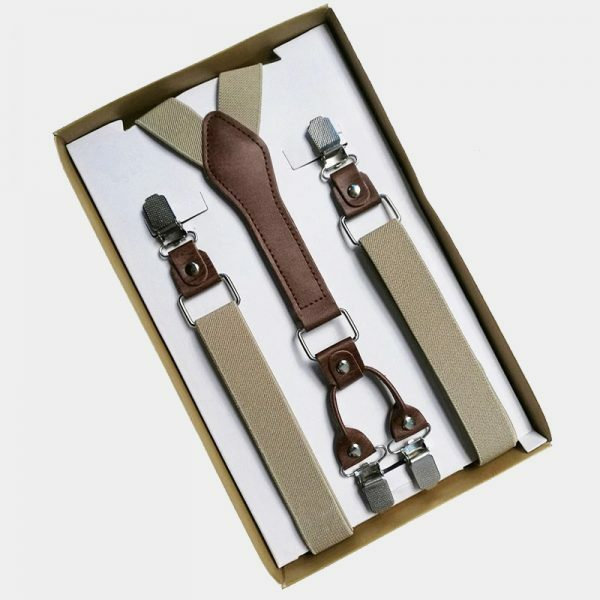 They are completely adjustable to give you a perfect fit everytime you wear them. 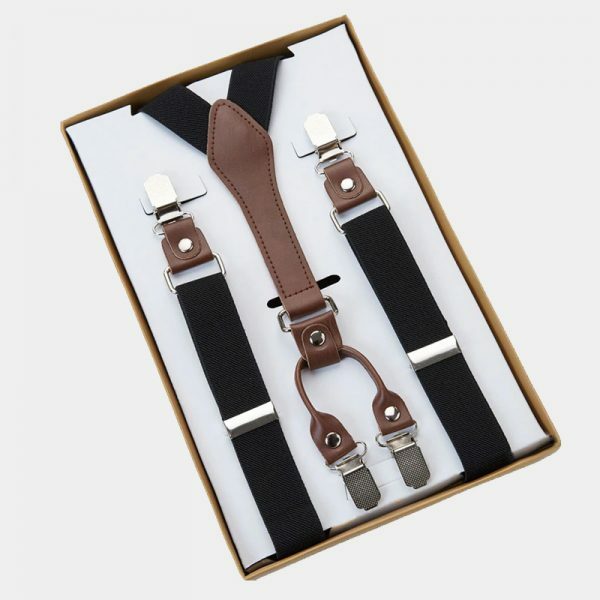 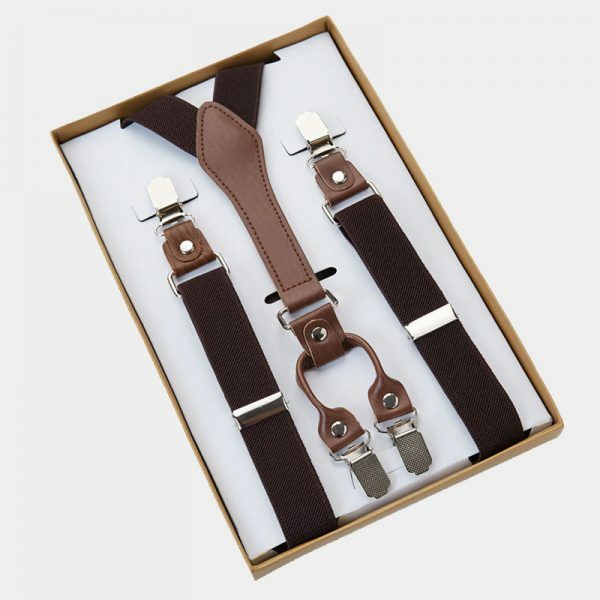 These suspenders also have four solid metal clips for worry-free attachment to your pants. 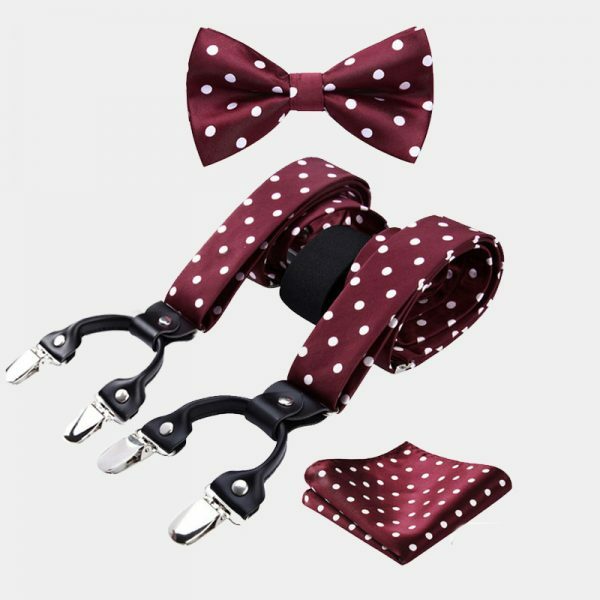 They are a great accessory that keeps you looking good and your pants where you want them. 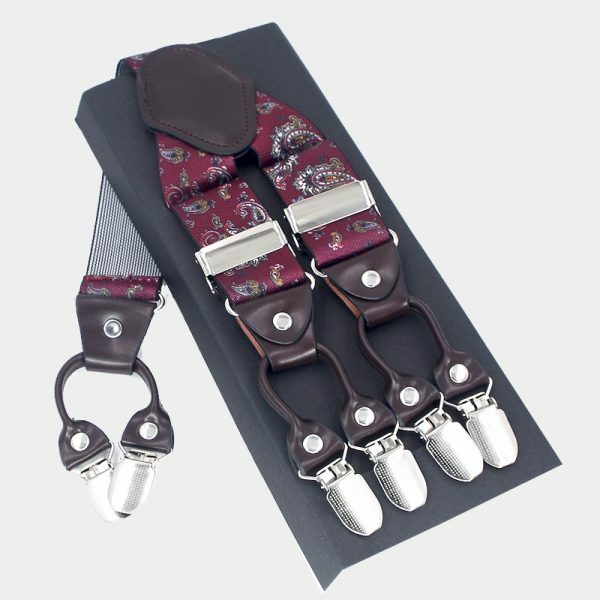 Being stylish doesn’t have to cost you a fortune when you wear these well-crafted accessories.